Personal branding is all the rage these days, and there’s a reason for that. The availability of technologies like blogging and social networking sites means that any one of us can be an expert in our industry, and many managers are starting to realise that by empowering their employees to spend time on their own personal branding, they can benefit both the employees and the business. One of the best sites to use for personal branding is Quora, the web’s leading question and answer portal. That’s because it covers questions across so many different topics that it’s easy for you to find questions that fit into your area of expertise. You can also link off-site to supporting material, which can make it an effective way of driving traffic back to your website. Quora is easy to get started on, because anyone can sign up and start asking questions and providing answers. You can sign in with existing social networking profiles and you can also link it to Twitter so that every time you post an answer, a tweet goes out to let people know. Sure, if you’re getting into personal branding, you’ll want to take time to establish your authority via a website of your own, but that doesn’t mean that you can’t back that up by using Quora. Quora is easy enough to navigate and so we’re not going to dumb things down for you to talk you through that. What we will say, though, is that you’ll want to go out of your way to fill out your profile with as much information as possible. You’ll be able to provide links back to your website, specify your specialist subjects and even include a short bio. With this information filled in, the next step is to search for questions that need answering. Some people try to include back links to their website in every answer that they post, but that can come across as spammy and insincere. You can feel free to link to your own content or to promote your own services if they’re relevant to the question that’s being asked, but it has to feel natural. 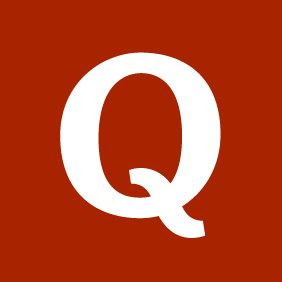 Quora itself has a thriving community, and it’s important for you to remember that if you plan to use the website. You can’t just barge into a community gathering and start promoting yourself, and you’d never dream of doing it in person. Make sure that you’re not doing the Quora equivalent by taking part in the community instead of just trying to sell to them. 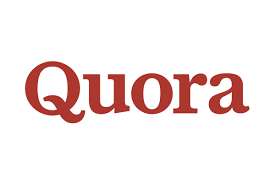 Because Quora works so well for both personal and professional branding, it can be a good idea to provide the tools and training that people need to use Quora on company time to spread the word about your products and services. It’s not a magic bullet that will single-handedly revolutionise your approach to marketing, but it is a decent enough tool that more than deserves a spot in your marketing toolkit. What more do you need to know?